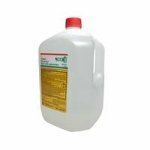 Kodak C-41 Flexicolor Bleach III Replenisher, 12.5-Gallons, Part A.
Kodak Flexicolor Bleach III, 1-Gallon. Kodak Flexicolor Developer, 1 Gallon. Kodak Flexicolor Fixer / Replenisher, 1 Gallon. Kodak Flexicolor Fixer / Replenisher, 25-gallons. 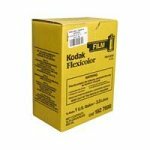 Kodak Flexicolor Fixer / Replenisher, 5-liter.